Binter merzy / KZ200 is a middle-class motorcycle with 200 cc single cylinder engine. This bike is the official mass production motorcycle engine capacity of the largest in Indonesia, until the Suzuki Thunder 250cc launched in Indonesia. 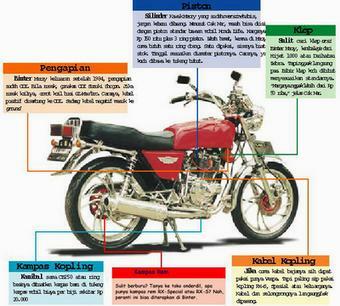 In 1983, it adopted the system of motorcycle CDI until production stopped in 1984. Early production of these specifications is called merzy CDI. In 1984, During the production period there is a time of change in year end model of its predecessor model becomes more sporty or commonly referred merzy merzy new tanks or Cobra.